If you enjoy getting outside with friends and family for a great amount of fun, then you should always try having an airsoft war. Playing with airsoft guns is a great way to get outside and get active, and when you get everyone involved it is a great way to bond with people you enjoy spending time with. When you want to get outdoors and airsoft for a while, there are several things you can do to make your airsoft fun just like the professionals. In this article, you will find just a few steps to help you airsoft like the pros. Here is what you need to know. Since airsoft can be rather dangerous, especially if you are hit in the eyes, goggles are one piece of gear that should always be worn while playing with these guns and ammo. Goggles are there to help protect your eyes from pellets that might do damage if they hit you. Goggles are not always cheap, but you can find some that are reasonably priced. Most are going to cost somewhere around $100 for a pair, but some companies offer airsoft goggles for a lower price around $60. The goggles should be equipped with several features. Find a pair of goggles that have anti-fogging features, comfortable padding around the eyes, and an adjustable strap. This way, you can see well and be comfortable while playing safely. Many people choose to use paintball masks as well since they protect the entire face. There are several types of goggles you should avoid. Mesh goggles are not as protective since shards of the ammo can break off and enter the mesh. Safety glasses should never be used for play since they have gaps around the eyes where pieces can enter the eyes. Goggles are important, but without an airsoft gun, you can take part in the fun. When you are trying to find the best airsoft gun, the first thing to look at is the options that you have. 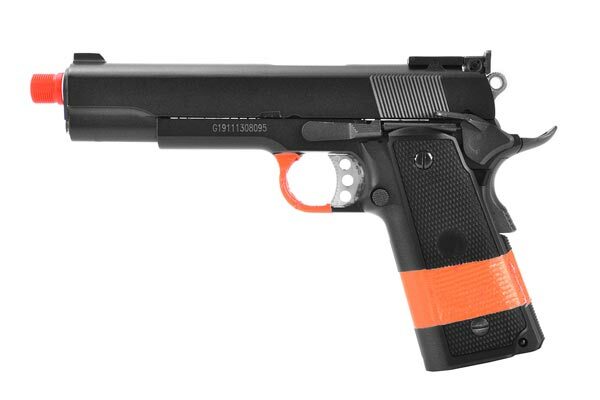 There are many different airsoft gun options out there as well, which might hinder your decision. You don’t have to spend thousands of dollars to get a great gun. In fact, many great airsoft guns are in the $200-$600 price range, which is much better for many people’s budgets. The high-end companies are going to charge more, but you can get better price airsoft guns that work just as well. You should also consider your own desires for your gun. Do you want one that you can simply sit back and enjoy, or do you want something else? Take your own desires into consideration before you purchase your gun. Otherwise, you will never be happy or satisfied with your gun choice. Third, Get the Rest of Your Gear. You would never go into battle without the proper gear, and you should never have an airsoft war without the right clothing and gear to keep you protected while you play. 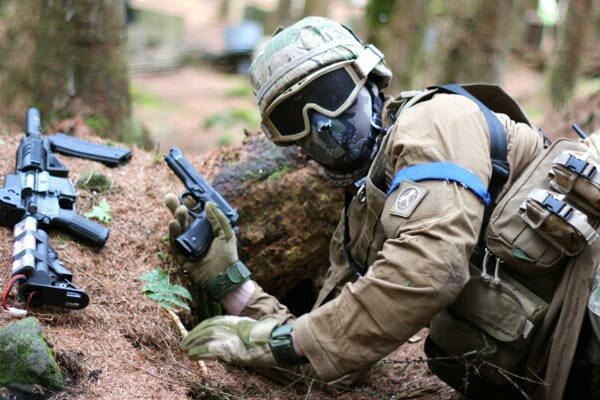 Most places you go to play airsoft do not have uniform requirements, but there are a few things you should keep in mind while you prepare to play. You’re going to need a good pair of shoes. However, you don’t have to fork out hundreds of dollars for military grade combat boots. Waterproof boots can be just a beneficial to your playing, which can be as cheap as $40. The boots will protect your feet no matter the season you intend to play. You will need something to protect your arms. Most people prefer to wear long-sleeved shirts or camo jackets that keep their arms covered to avoid bruising, especially if playing in the cold. Some people prefer to get matching camouflage shirts and pants that keep them hidden in certain terrains. Many people choose to get a chest rig or a vest that helps protect their chest, hold ammo, and more. Chest rigs are often in a high range of prices from as low as $20 to as high as $100. However, the highest-end chest rig products are around $700 or more for a decent option. You don’t need all of these things to enjoy an airsoft war. In fact, you really only need goggles and a gun to join in on the fun. If you want to be a professional, though, you’re going to want these items since they are the kind of stuff that many hard-core and pro airsoft players enjoy. Four, Find a Place to Play. Now that you’ve got your gun, your ammo, and your gear, you can start finding buddies to play with and a place to fight it out with airsoft pellets. 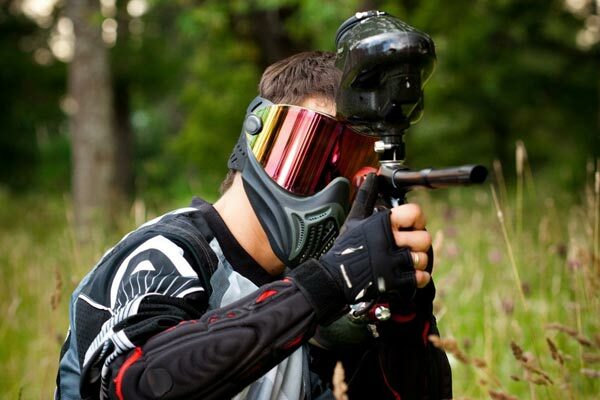 Many cities have airsoft arenas that are similar to paintball arenas with marked off areas of the field for play. Many of the play arenas include things like rocks and other obstacles that you can hide behind or climb on to make the game much more involved. However, you don’t have to play in any of these arenas. In fact, you can make your own play area in the woods, at home, or in an open field. Finding a place to play will come down to the people you choose to play with, where you want to play, and how much space you need. The best part about finding a good place to play is the ability to be flexible according to your friends and where they want to play. You should remember that professionals play in professional arenas and courses. Having an airsoft war is a fun way to get out of the house, bond with friends, and have fun at the same time. However, if you want to airsoft as a professional, you need to consider your gear, your gun, and even where you play. You should find the best goggles to keep your eyes safe, grab the best wearable gear for protection and storage, and get the best gun that feels comfortable in your hands and allows you to play to your heart’s content. Airsoft is fun, and it is even more fun when it becomes something you do on a regular basis.